Wimberly at Deerwood is a 322-unit class A suburban community located in the upscale Southside submarket of Southeast Jacksonville, FL. 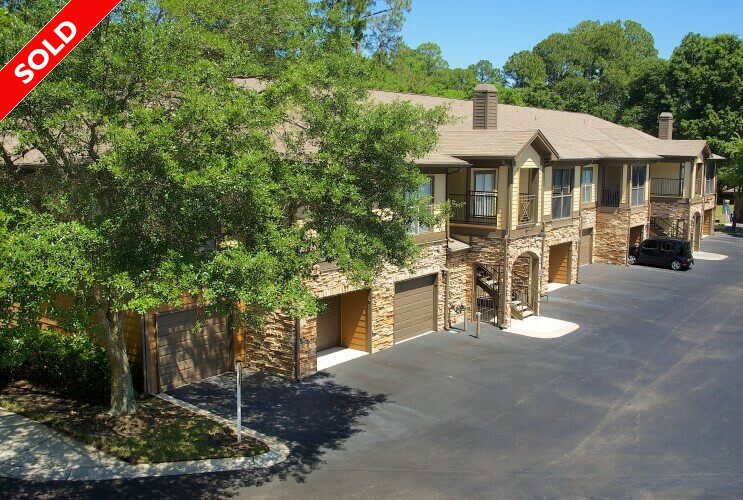 The property features controlled access gates, direct access garages, large clubhouse with state-of-the-art fitness center, media room, game room, resort-style swimming pool with cabana, sand volleyball courts, and car wash area. Interior unit amenities include 9 ft. ceilings, vaulted ceilings, full size washer/dryers, crown molding, intrusion alarms, and built in wine racks. Wimberly is located in the Southside submarket in the master planned community of Deerwood. The property is within walking distance of the areas two largest employers, Florida Blue and Merrill Lynch, both located in the 2.5MM square foot Deerwood North office park. Also nearby is the St. Johns Town Center, a new open air retail venue that is home to Jacksonville’s finest retail and restaurant establishments. Upon acquisition, a renovation and upgrade strategy will be immediately implemented. Common areas will be upgraded including: new pool-area furniture, clubhouse renovations, new fitness center equipment and upgrades, and outdoor kitchen and grilling area upgrades. Interior unit upgrades will include new counter tops, new sinks, upgraded flooring, lighting and cabinets, and fresh paint schemes. Upon completion of the upgrade program the property will then be held for increased cash flow and appreciation.